Zentail's algorithmic Amazon repricer keeps your product prices under the competition's prices, without going below your minimum price. Once activated, the repricer allows your products to be repriced actively between your preferred minimum and maximum prices. 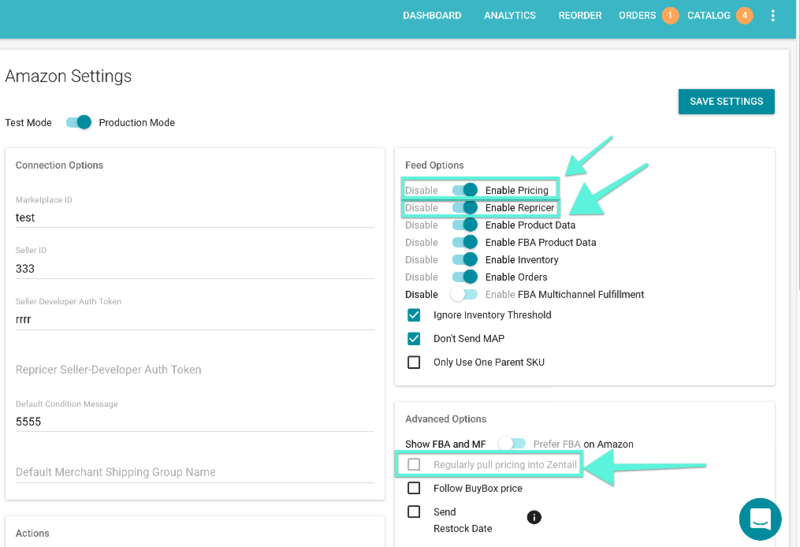 This article will show how and where to enable the Amazon repricer in Zentail, as well as other related settings that can be enabled in order to win the buybox on Amazon. Go to Integration Settings and click on the Amazon card. Under Feed Options, toggle to Enable Repricer. For the repricer to operate, Zentail needs to manage your pricing. For this reason, Enable Pricing should also be activated, and Regularly pull pricing into Zentail should be unchecked. Go to the Catalog and click on the Price dropdown on the top left of the page. Search for specific SKUs in the Price view and click on the Min Price and Max Price and enter an appropriate value. Make sure the product is set to List for Amazon. Note: You must also have inventory for the SKU for the repricer to work. Go to the Integrations page and Click the Amazon card. 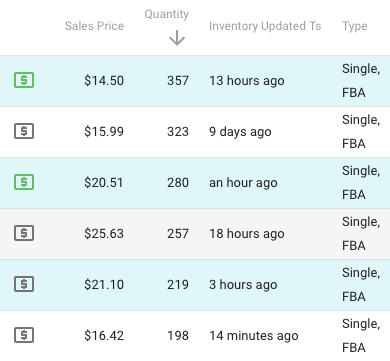 Under Advanced Options, check Follow BuyBox price. Be sure to click the SAVE SETTINGS button. Gray means that the repricer is configured, but the product does not have the buy box. Green means that the product has the lowest landed price and therefore most likely has the buy box. And that's it! Once activated, Zentail's Amazon repricer algorithm works to win the buy box a high percentage of time while keeping your price reasonable compared to the competition. It does not always win the buy box. Remember also that the repricer sets the primary price for a product, which will be sent to all channels that are using the primary sales price to keep you competitive on other channels as well. 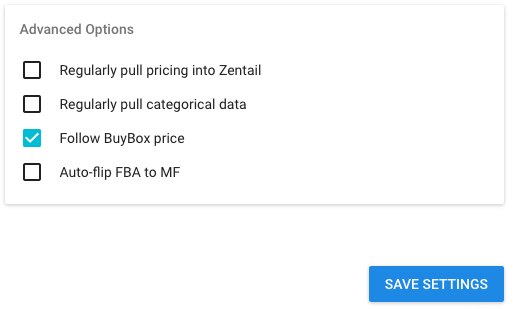 If you would like to send a different price to another channel, set a sales price override for that SKU in the Advanced Options of that channel and Zentail will send the price override instead of the repricer price. Here is a Knowledge Base article on how to set a price override.